With movies like Ex Machina, Her and many more, it is clear artificial intelligence is one of the highly discussed topics in modern times. With artificial intelligence there is both the fear and curiosity- will they go against humanity or be a great companion in our journey across space and time? We are living in the era of transcendence. We can see the world through a small box, live fantasy with games and much more. Now more than ever before, AI is taking a form. With Google’s Deep Mind and much research on neural networks, we have come to a stage where AI can calibrate lasers, which would take almost 12 hours, in half of an hour or less. These achievements are a milestone, a history that our children will read about surrounded by all the cool gadgets we cannot even imagine. It is safe to say AI is no longer just science fiction and we are just a few steps away from the future that will blow our mind and expand intelligence. But what is intelligence and how is it being created on computers? I find the ancient Vedic description of intelligence quite compelling. In simplified form it sees intelligence as a collection of four elements: intellect, personality, cognitive thinking and memory. The memory is further divided into two parts: mental memory, the memory of past events and physical memory, the memory of the body to remember its structure across generations. Basically, it says intellect is like a pen, with memory as ink and the hand that writes it as personality. Google’s Deep Mind team have created the intellect in the machine. This intellect uses a vast amount of data and memory to improve itself. 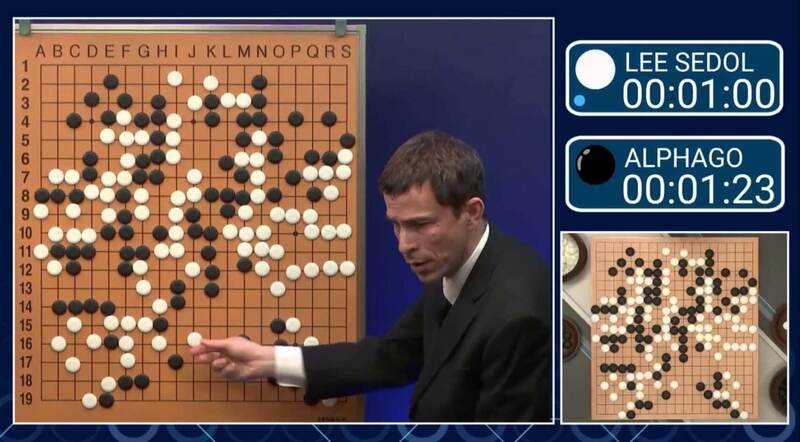 Google’s AlphaGo, which defeated a man in a game of Go, uses virtual neural networks to simulate intellect in the hardware. Up until now, the AI of games used to calculate every possible outcome of available moves and select the best move, like in chess. But in the ancient game of Go, there are billions of moves that could be done, which makes it impossible to use this technique. So Google’s Deep Mind team have developed AlphaGo, which can play intuitively. This is a great step toward true artificial intelligence. We have built our pen and ink, but could we or should we give AI a personality? iRobot is a great movie that shows two different AI’s according to their personality. The personality defines the way AI will use its intellect. Will it be a companion or a destroyer? On the other side, cognitive thinking is also really hard to nail down in a machine. Like everything there are infinite possibilities of what could happen but as we are approaching true artificial intelligence with modern neural network simulation it would be safe to say that this fluctuating uncertainty is damping down to a shape- the Singularity.